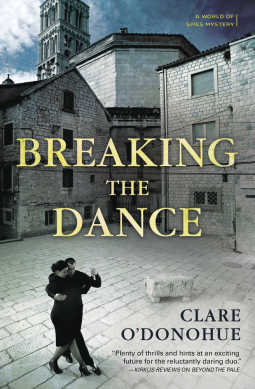 Adventures in Argentina: Breaking the Dance by O’Donohue – Joyce's mystery and fiction book reviews with some non-fiction too! It requires suspension of disbelief to read this enjoyable second caper about Hollis and Finn. Their first adventure as amateur quasi-government agents took them to Ireland (see below) while this time they are in Buenos Aries. The plot is improbable but following this couple as they interact with one another is enjoyable. Another plus was the sense of place that the author provided; I think that the descriptions of the tango, Buenos Aries and other Argentinian locations were quite appealing for armchair travelers. Many thanks to NetGalley and the publisher for this adventurous read. The opinions are my own.